If you are looking for quality Heating, Ventilating, Air Conditioning (HVAC) work we should be your number one choice. All equipment, all brands. Commercial and Residential. Whatever type of HVAC system or equipment you have; we have the experience and knowledge to get it working again, the correct way and keep it working that way. We excel in correcting problems caused by another’s failed repair attempt. All equipment, all brands. Most of our commercial preventative maintenance agreements are written for 3-5 years in length. Because a routine maintenance program will keep your equipment running at peak efficiency for the longest equipment life possible. 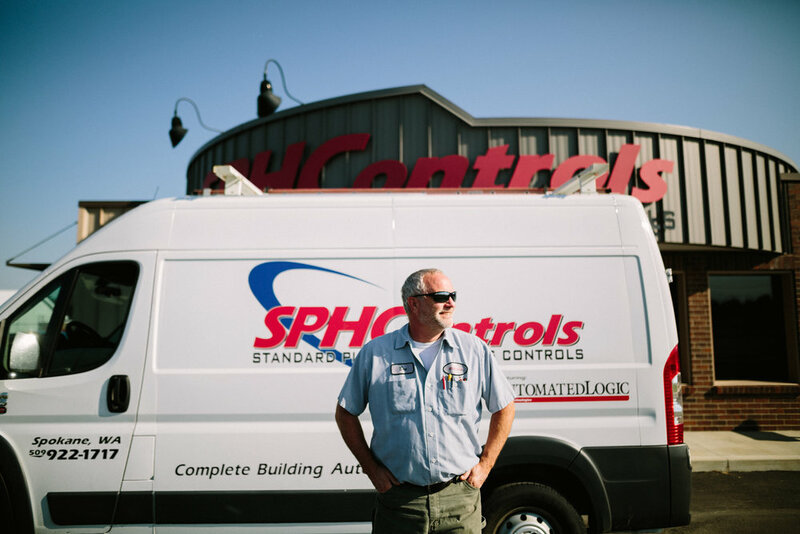 Contact us now to schedule for our representative to review your equipment, discuss your needs and propose the preventative maintenance agreement that you want and works best for your building and HVAC equipment. Have in house personnel to do it? No problem. Call us when you need repair work done. We have the experience and expertise to get you back up and running (heating or cooling) as soon as possible. We have over 400 residential boiler customers and our annual “Fall Boiler Service Special” is a hit every year. Contact us to be placed on the mailing list so you can receive the same comprehensive boiler service as our other annual customers do. If you have a boiler system (water or steam) you will want to review the following information. We work on hydronic (water) and steam boilers. These boilers are in residences and commercial buildings. A portion of our business is replacing or converting steam boilers to hydronic. This example is one job that was written up in several national trade publications. We will save you money on your utility bills, you will save you enough money that it will pay for the installation of the new equipment within a few years. This could be as soon as 3 years or up to 7 years. Either way; it's money in the bank after that. If you have a steam boiler, you have 'steam traps'. Your steam traps should be inspected annually and repaired as required. An installation we did for the Dominican Center was featured in several national trade magazines. Here is just one of the articles in the Reeves Journal . (look here); and don't forget about the condensing water heaters.